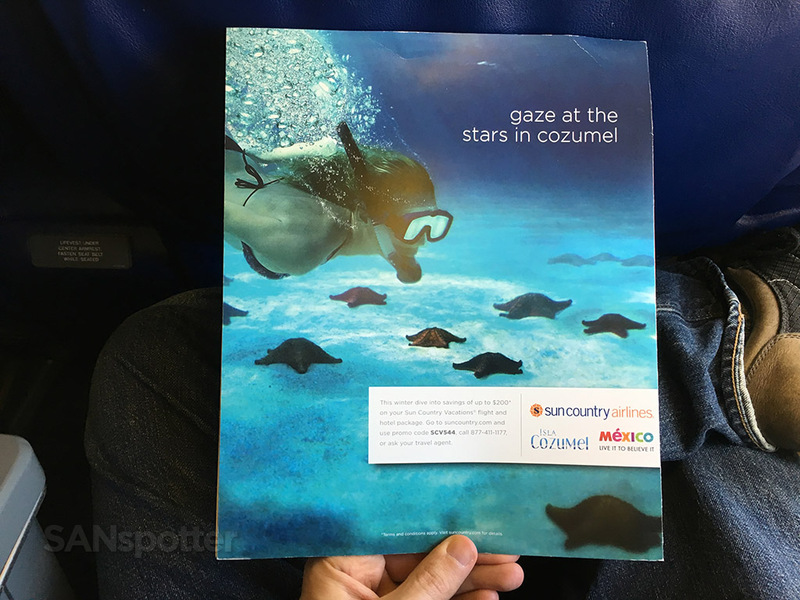 Sun Country is one of those airlines that have been on my “to fly” list for a long time now, especially since they serve a destination out of SAN that I travel to at least once a year (MSP). 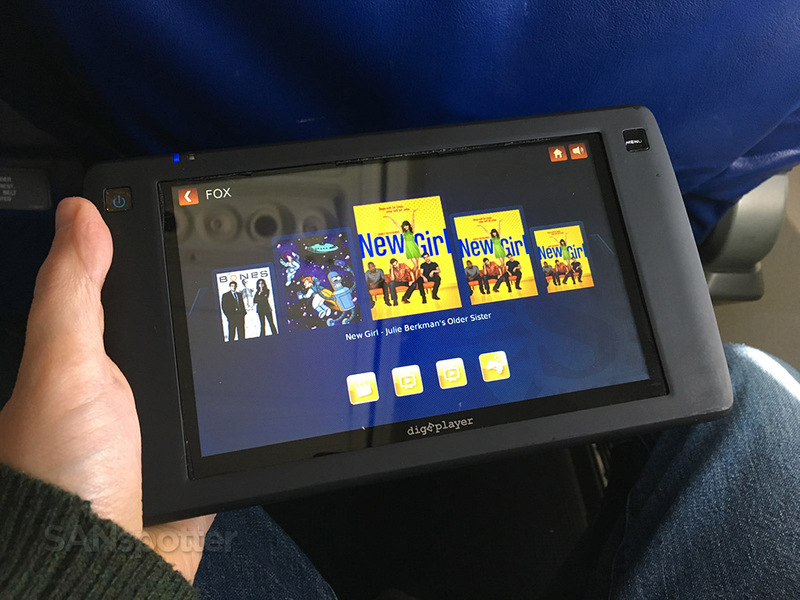 The problem is that I used to be quite attached to Delta SkyMiles and it always killed me to to pass up an opportunity to add more to my pile. But now that Delta and nearly every other airline has devalued loyalty points for lowly casual flyers like me, I consider myself a “free agent” and I’m using the opportunity to fly whatever airline I want. It feels great not to be tied to a single program! To be honest, I didn’t really know what to expect before I purchased this ticket. 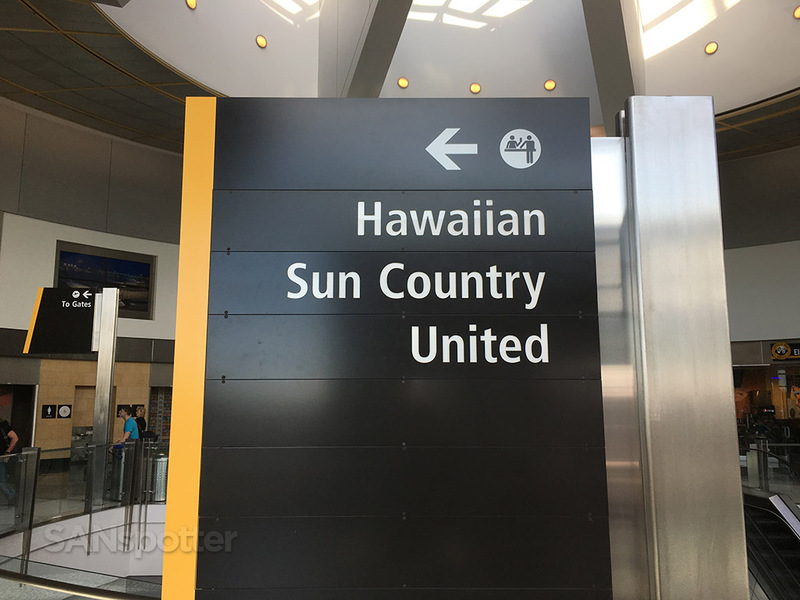 I knew very little about Sun Country and how they fit in with all the other airlines here in the US. Do they consider themselves a low cost carrier? Full fare? I knew they had a dedicated first class cabin, which to me, made me think that they are trying to compete with Delta, American, and United. 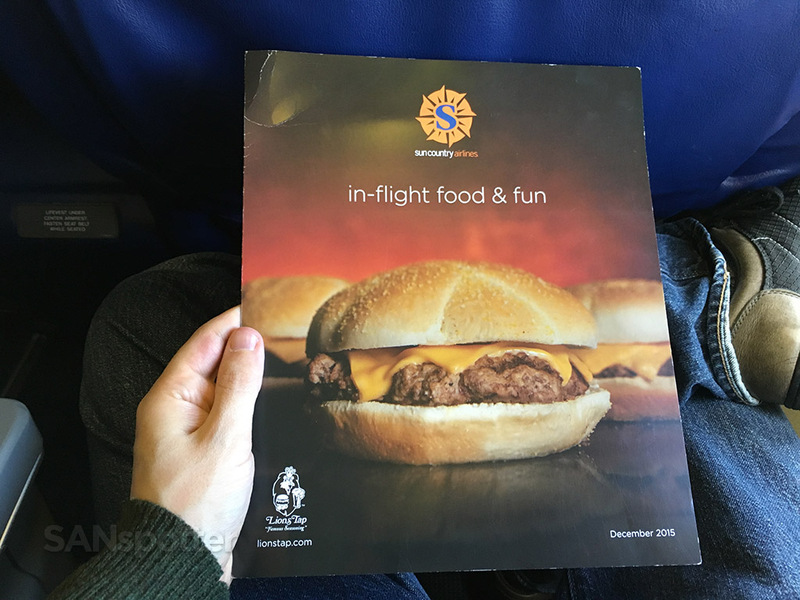 But their route network is abysmal compared to those other airlines, so the only way to find out what they are truly about is to cowboy-up give them a try. Here we go! 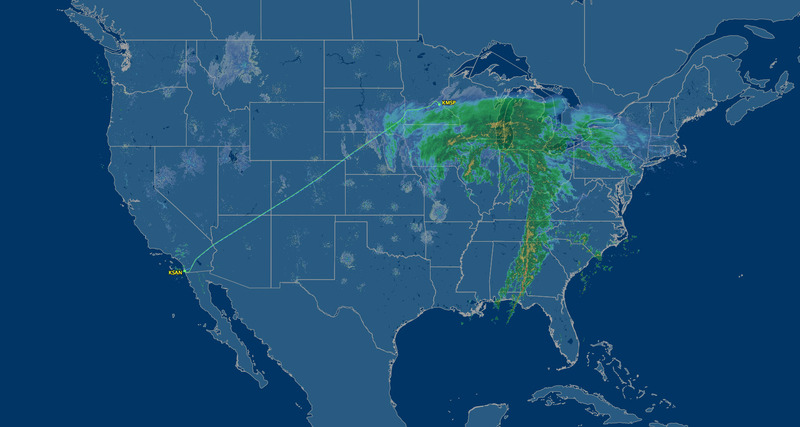 Our route to MSP today: POGGI5 JLI TRM J236 EED KL36O KD42Q HBU J128 FQF SSWAN TORGY2 – looks like a pretty nasty weather system on the other end! To my amazement, they deplaned that little -700 in record time and started boarding our flight within minutes of when they said they would. Nice! 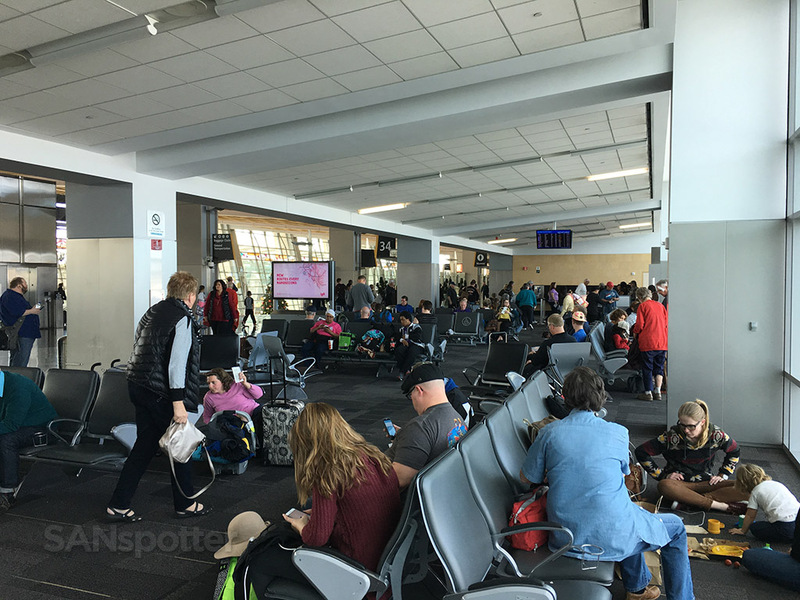 The gate area was a bit crowded this morning and we were seated a bit far away, so we held back for a few minutes as they called for the first class cabin to board the plane. 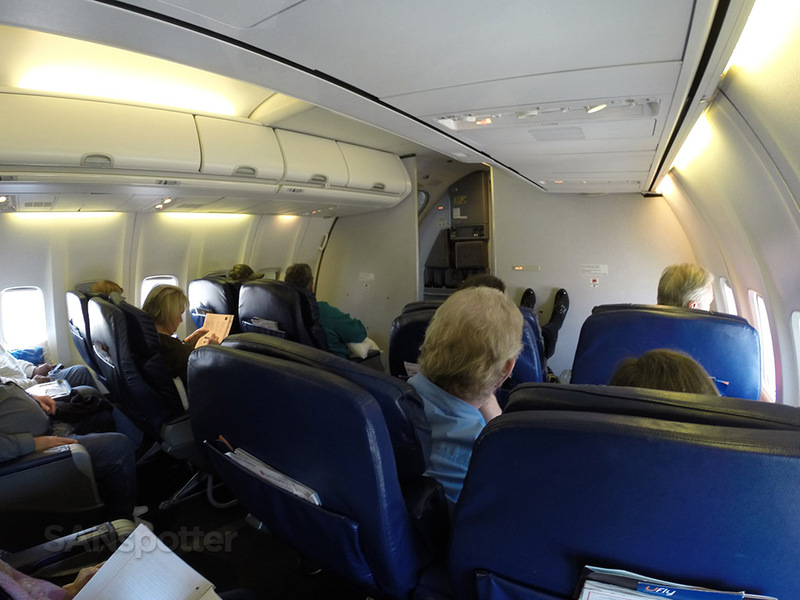 By the time we got onboard, there was an older gentleman sitting in my seat who had sat there thinking it was 3A. It’s always a bit weird to walk onboard an airplane and see someone sitting in your seat, isn’t it? 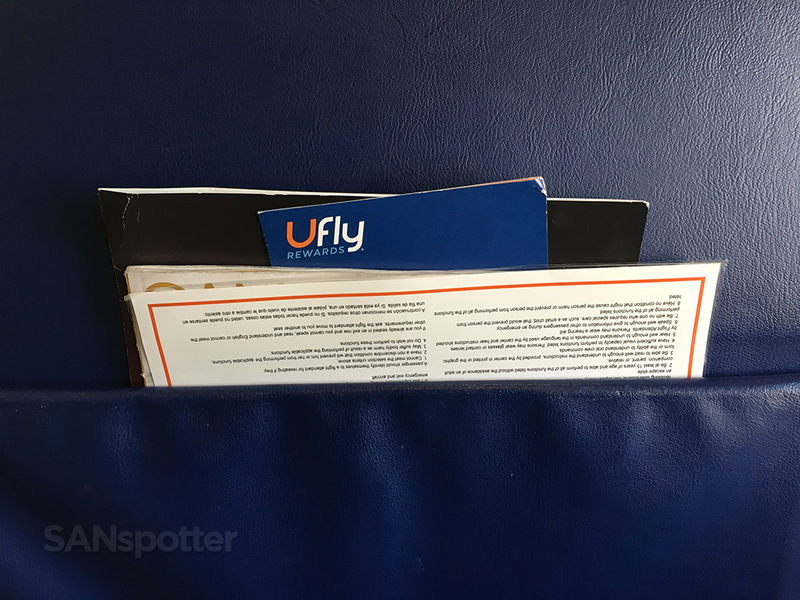 I usually can’t help but to think that I’ll end up in a middle seat in the last row (next to the lavatory) because there was a scheduling error or something. But it all worked out well this time, so no worries. 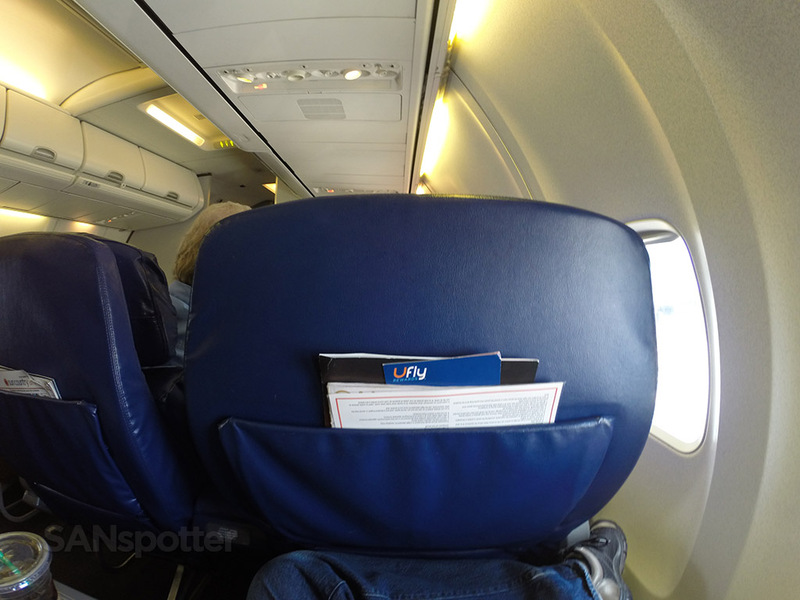 My first look at the first class seats of Sun Country Airlines. Looks pretty good so far! 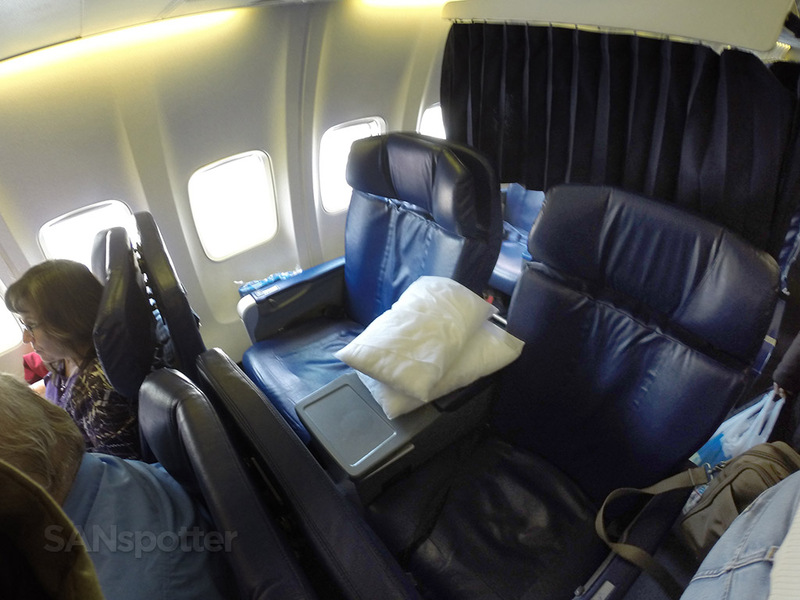 As you can see, this is pretty much standard-issue domestic US first class here. Nothing special, but better than I was expecting. 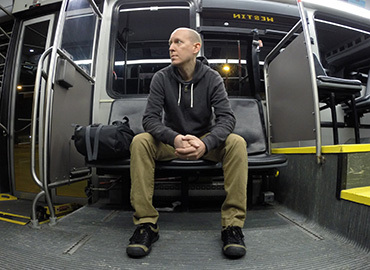 Once I was settled in, there were two things that stood out to me right away about this first class cabin. 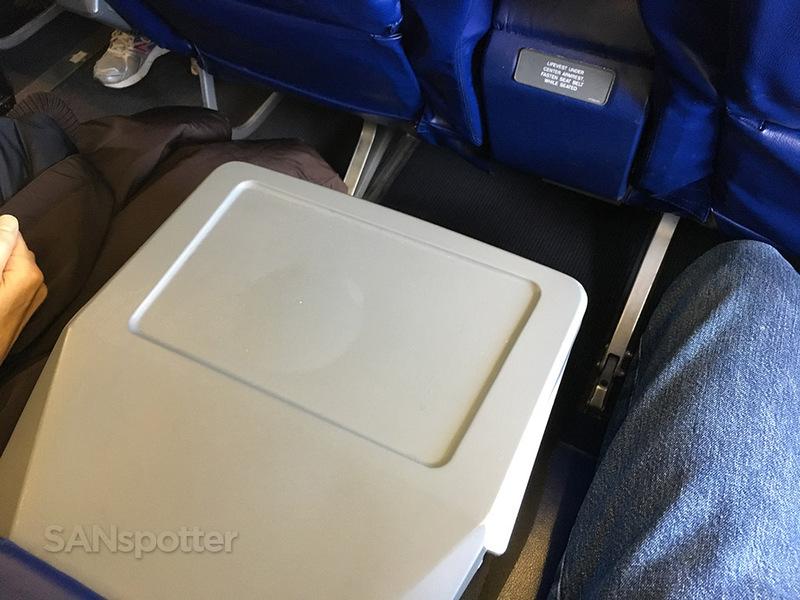 First, the leg room (seat pitch) seemed a bit tight – tighter than what I’ve experienced recently in Delta and United domestic first class. Second, there weren’t any coat closets. That seemed odd to me considering this airplane does nothing but fly in and out of MSP (a very cold place, especially this time of year). 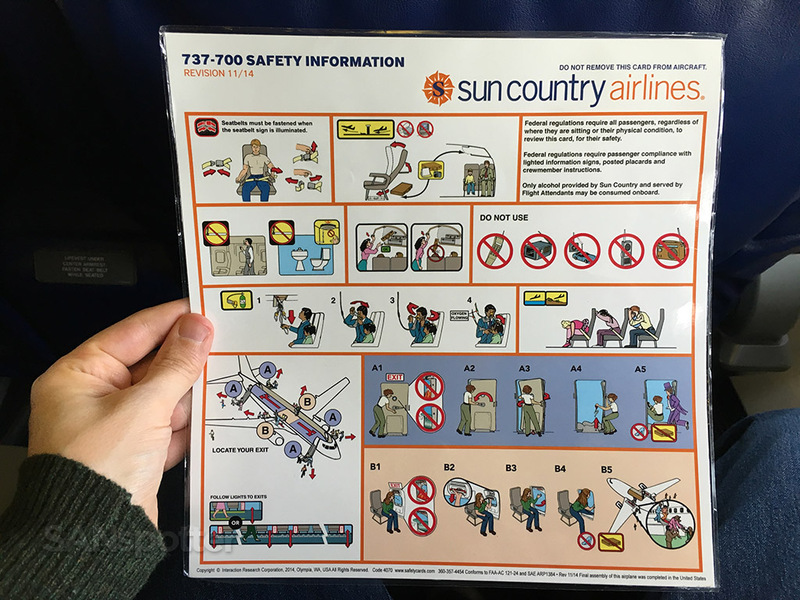 But then again, Sun Country leases all of it’s aircraft, so its not like they have the ability to customize the interiors all that much. In all my years of flying I don’t think I’ve ever seen a lever like this for seat recline. 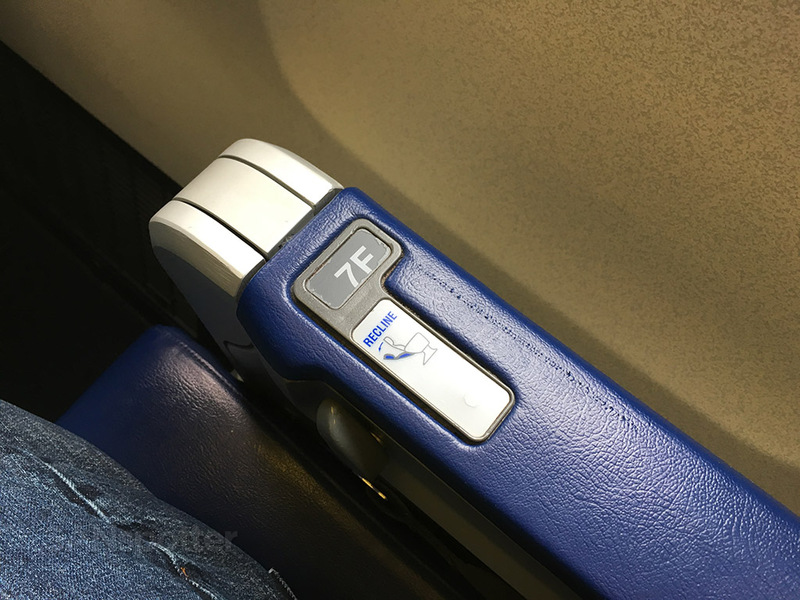 On a side note, the seat number here on the arm rest says “7F” – but my seat number was officially 3F (according to my reservation and the label on the overhead bins). 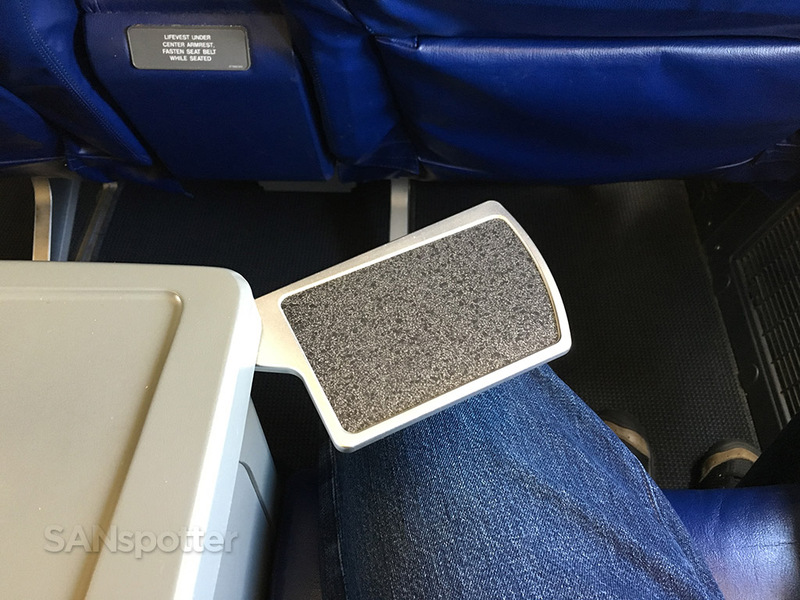 The woman up in 1E doing her best to keep things classy – we haven’t even pushed back from the gate yet but the feet are on the bulkhead! Drinks, pillows, and thick blankets were offered as we sat waiting for pushback, which was delayed for about 15 minutes due to flow control into MSP. That didn’t sound good, especially since I could overhear other passengers talking about all the snow that was due to hit the Minneapolis area that evening. We had a two hour drive ahead of once once we landed, so that was the last thing I needed to hear! Oh well…that’s to be expected for Minnesota in late December I guess. Study well – there might be a test! 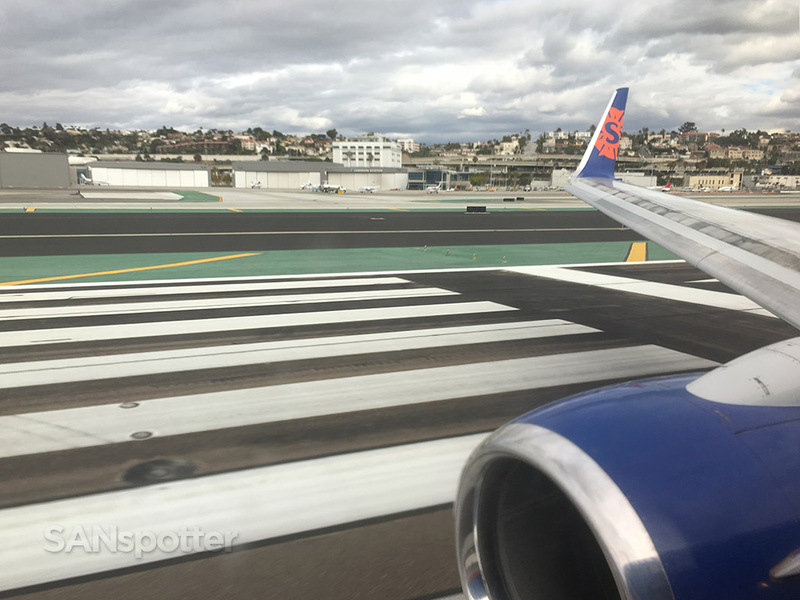 After sitting at the gate for a bit, we pushed back and s l o w l y made our way out to runway 27 for departure. It was obvious they were trying to kill time since the airport wasn’t especially busy at the moment. 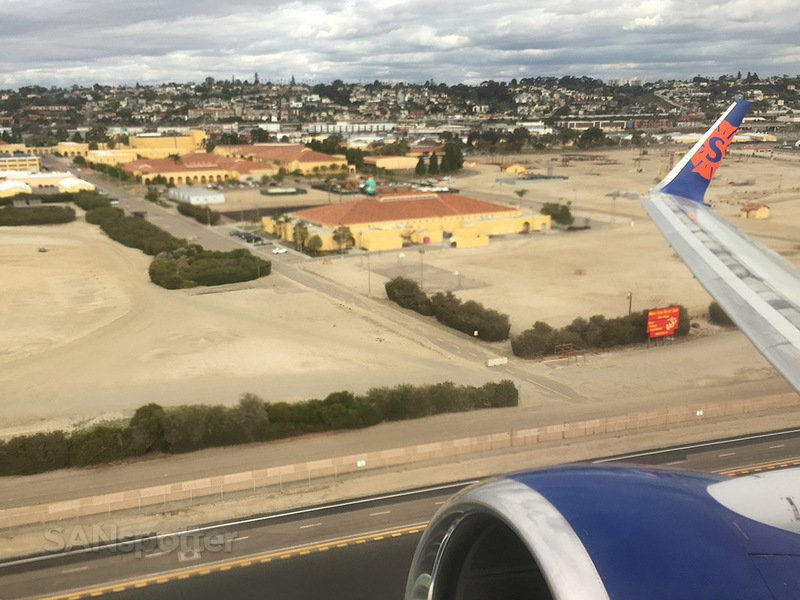 Sorry for the blurry pic (the window was gross), but this is a pretty good look and the Marine recruit depot located adjacent to the airport. Not a bad place for Marine boot camp! 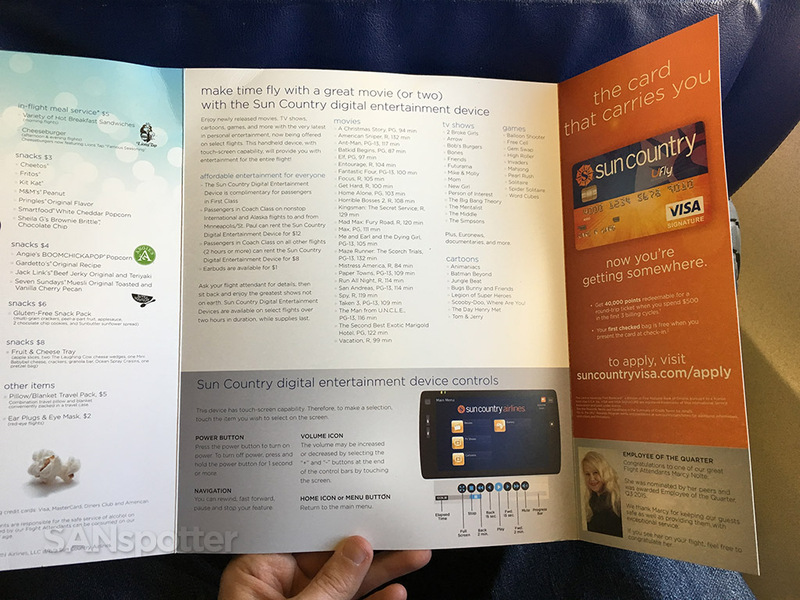 Complimentary Android-based media players and Sun Country-branded earphones where distributed, but there were no hot towels or menus to be seen yet. 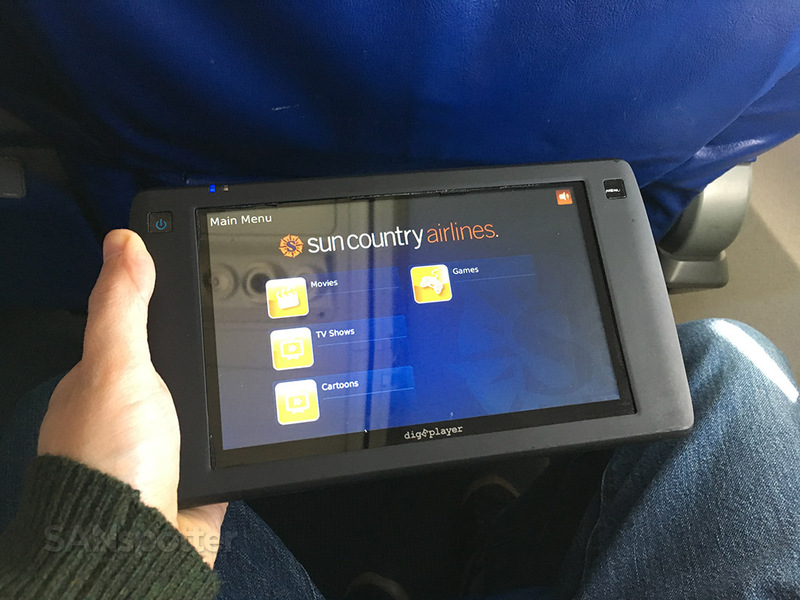 Still, I was rather impressed with Sun Country first class at this point. 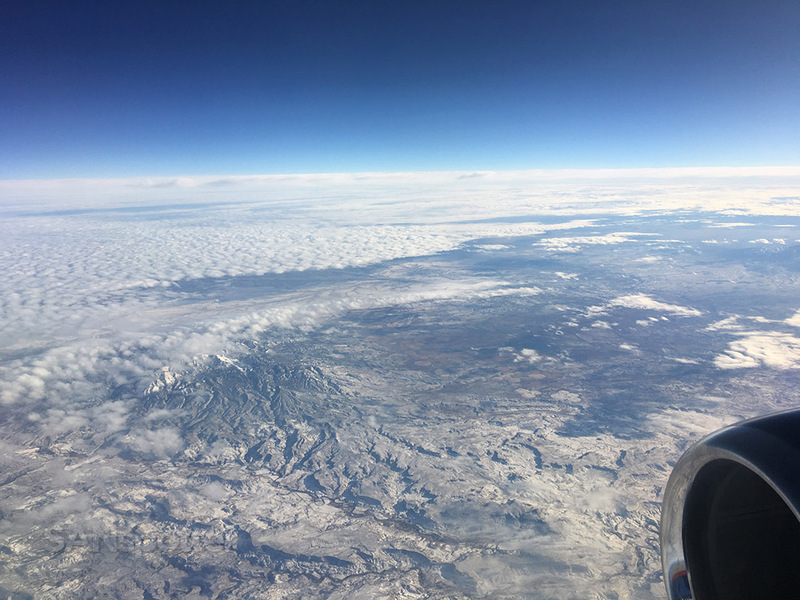 Service felt very “down home” and personal – kind of like I was visiting someone’s house instead of being treated like just another body in a seat. Movie and television show selections were pretty good. Not stellar, but I found some good stuff. The bigger question, however, was what I was going to do with this bulky device. There was nowhere to put it! 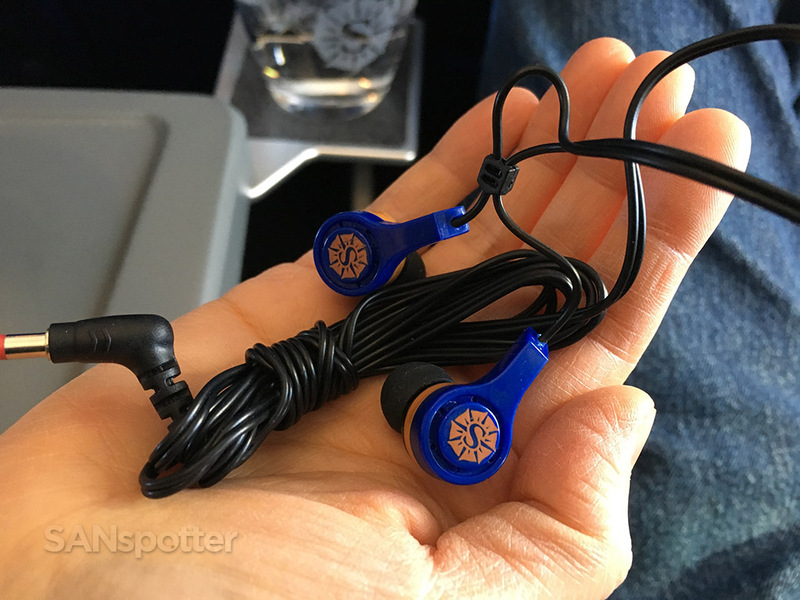 The earbuds even had Sun Country Airlines logos on them. How cool is that? Another drink service followed the distribution of the digital media players, followed by a tasty snack consisting of hummus and pita chips. 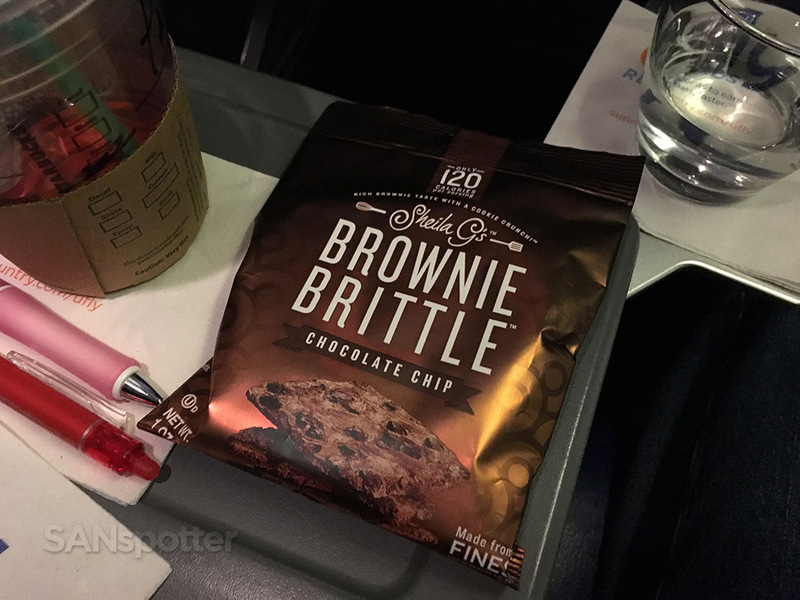 This was a really nice treat – much better than a tiny back of pretzels or peanuts. Take that Delta / United / American! Pita chips and hummus – unexpected but very tasty! 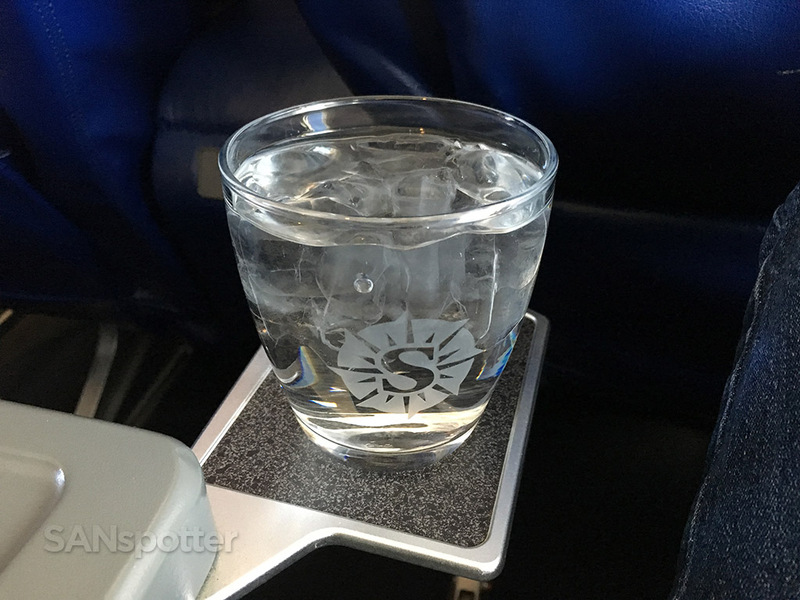 Sun Country drink glasses with a frosted logo on it. Nice! Dinner was a curry chicken plate, followed by hot apple pie for dessert. The chicken was pretty good – not anything better than what you could find at a shopping mall food court, but it was certainly edible (I ate all of it). The apple pie, on the other hand, left a lot to be desired. The pie itself was a bit bland and barely warm, but the plate it was served on was as hot as molten lava. On top of that, the fork that came with it was sticky. 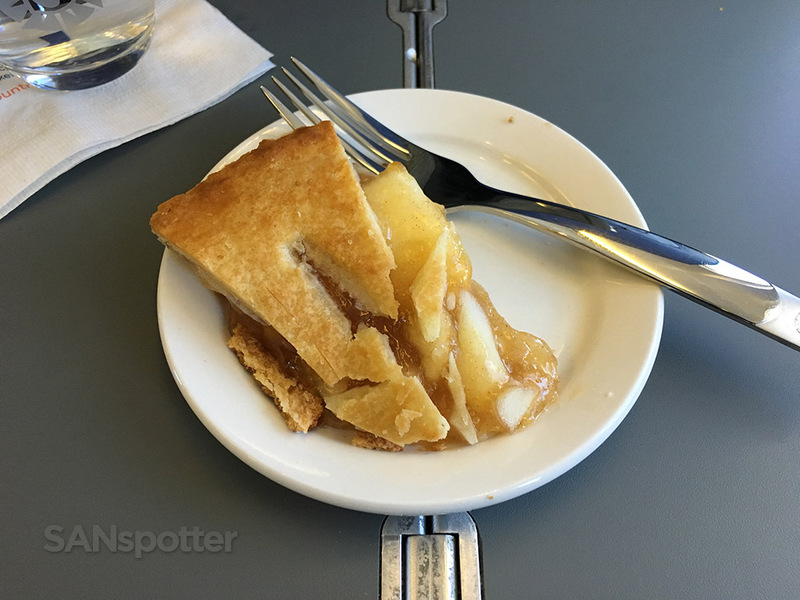 I’m not a food snob by any means, but this may have been the only time in my life that I’ve ever been disappointed with a piece of apple pie. 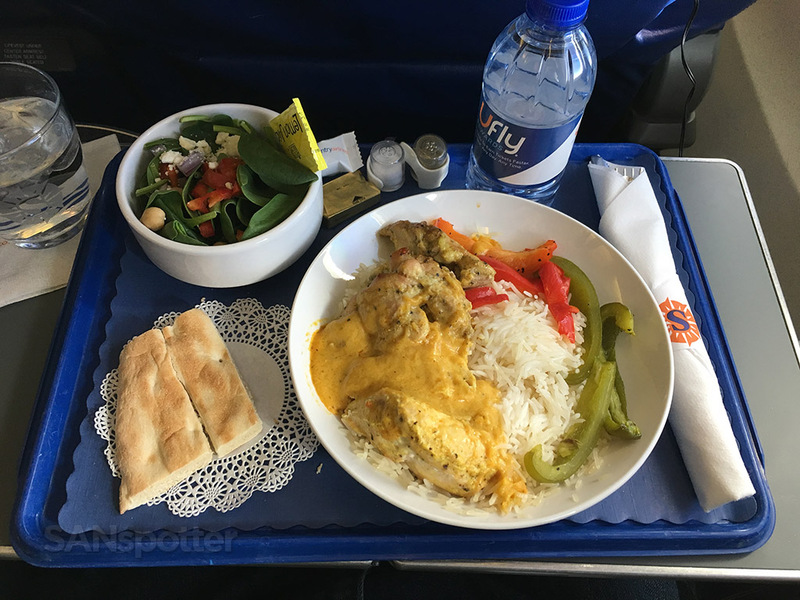 Chicken curry plate – a lot more than I was expecting for a first class meal on Sun Country! 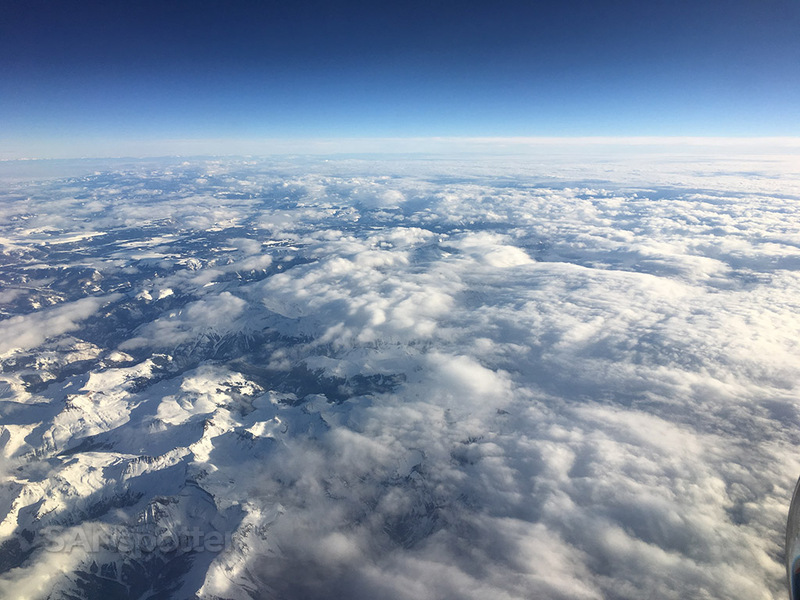 The rest of the flight was good. 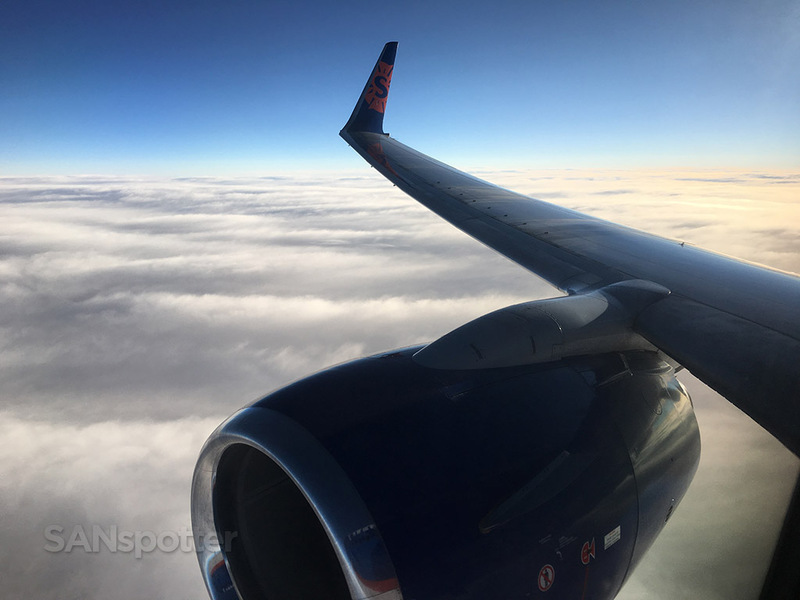 I was a bit disappointed that they didn’t dim the cabin lights until 45 minutes before landing (I prefer the dark), but the flight attendants were generally awesome and came around frequently with offers to refill drinks. 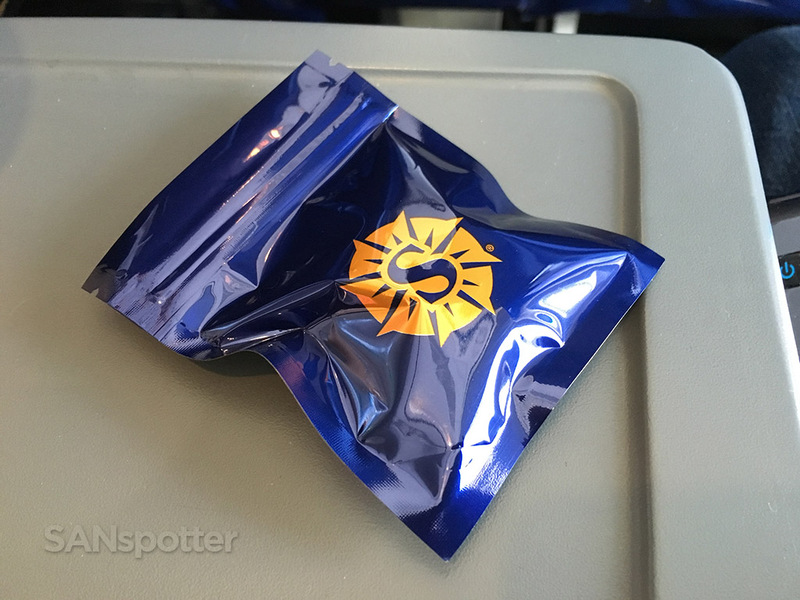 A snack basket made an appearance toward the latter stages of the flight, and hot towels were distributed on our decent into MSP. We were well taken care of on this flight for sure. 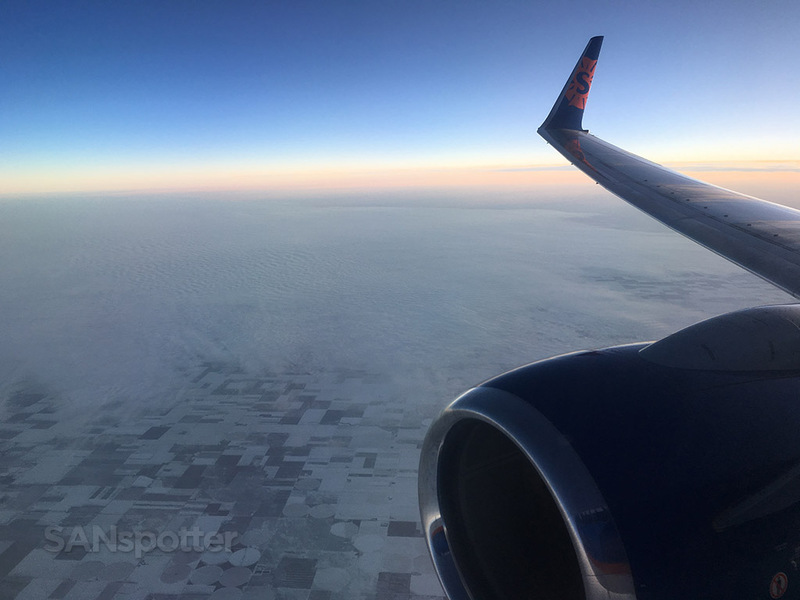 The northern plains – getting closer to MSP now! 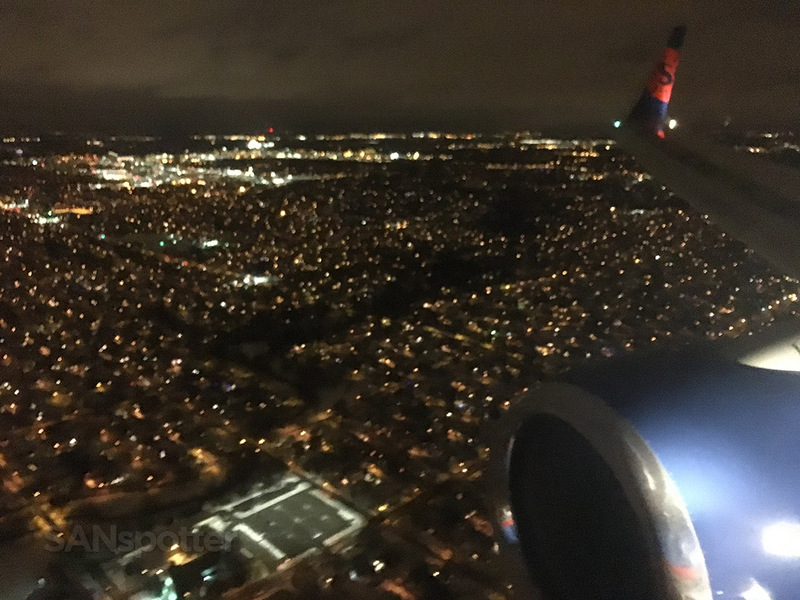 I could see that it was snowing rather heavily as we descended into MSP, which started to fill me with a bit of anxiety considering that we had two hours of driving to do yet this evening. My fingers were tightly crossed in hopes of scoring an all wheel drive SUV at the rental car counter! 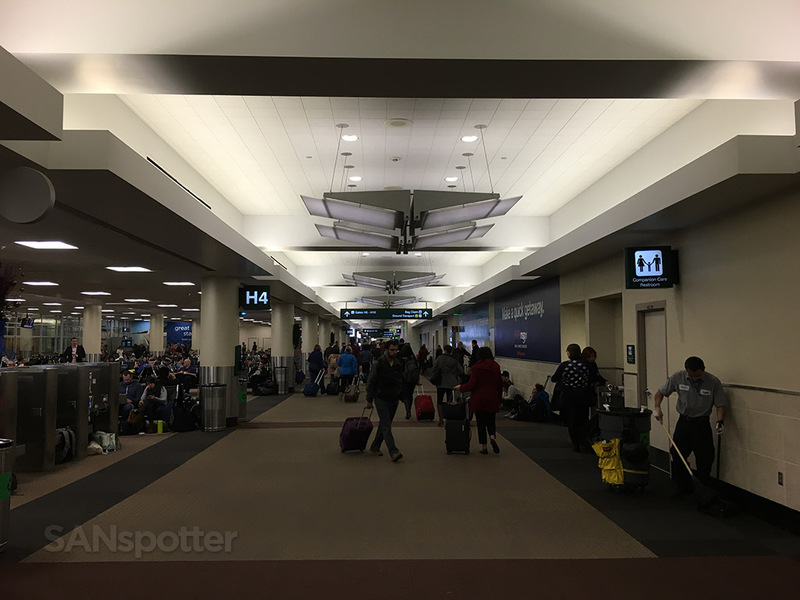 I’ve flown in and out of MSP a million times (give or take), and this was the first time I’ve ever been in the Humphrey terminal. 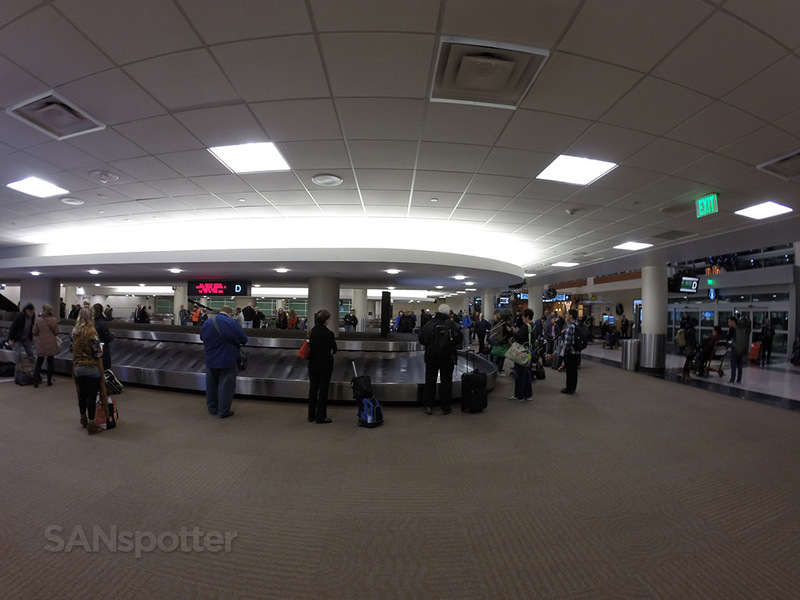 Looks nice, but the Lindbergh terminal is much more spacious. 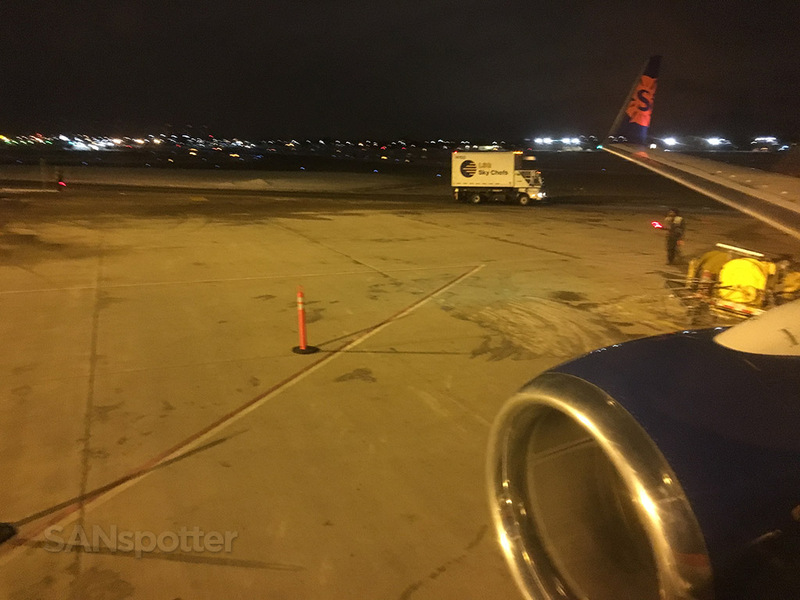 Despite the weather delays, we landed at MSP just a few minutes behind schedule. 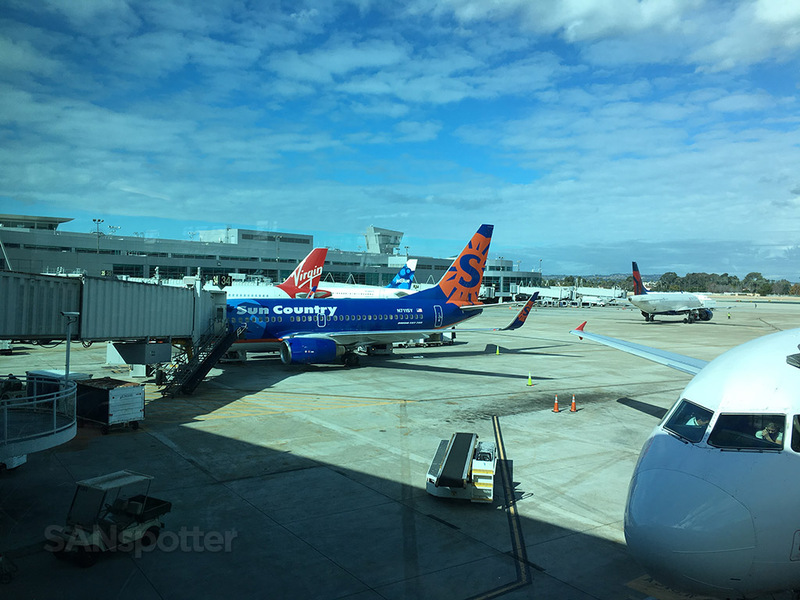 And the only thing that took my mind off all that snow flying around outside was the fact that I still didn’t know where Sun Country Airlines fit in with all the rest. 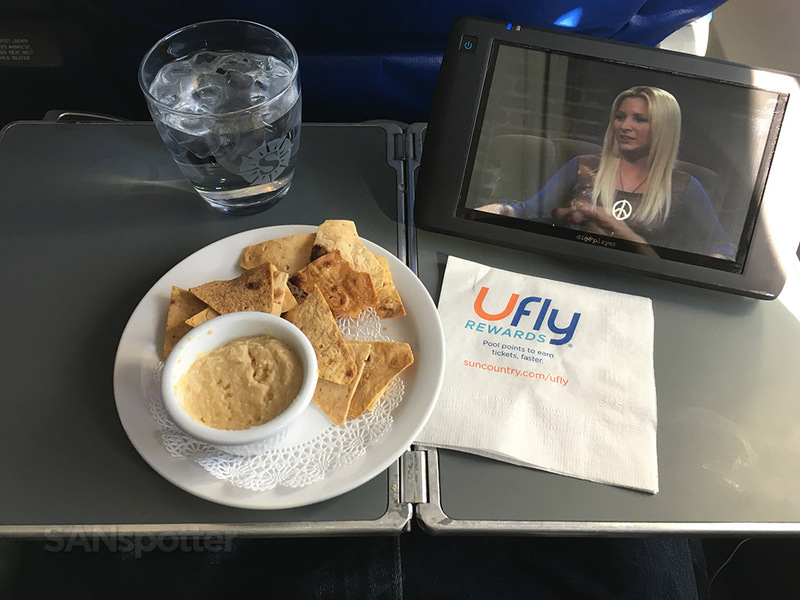 Up here in first class, I thought they were just as good as any of the legacy carriers. 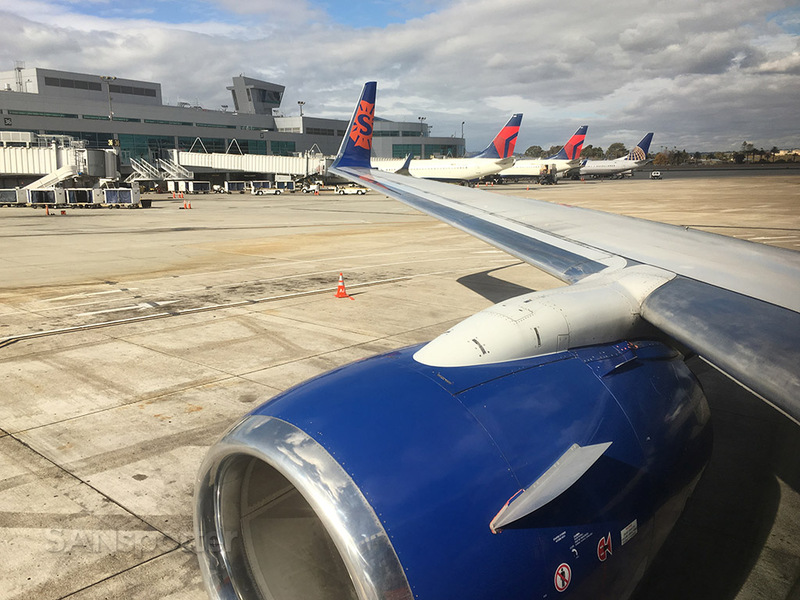 The food (and seat pitch) might have not been up to snuff, but the attention we received from the flight attendants was on par with what I recently experienced on my Delta One business class flight from JFK to LAX. Maybe things are different back in economy class? I don’t know. 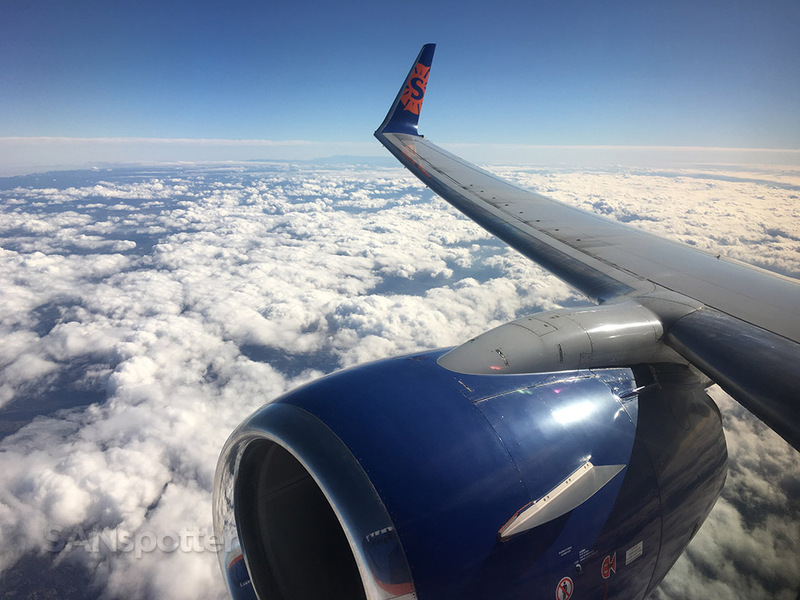 But all I do know is that if the schedule is convenient, I’d choose Sun Country again in an instant over Delta the next time I need to go to MSP out of SAN. Thanks for the great review. I appreciated all the pics as well. 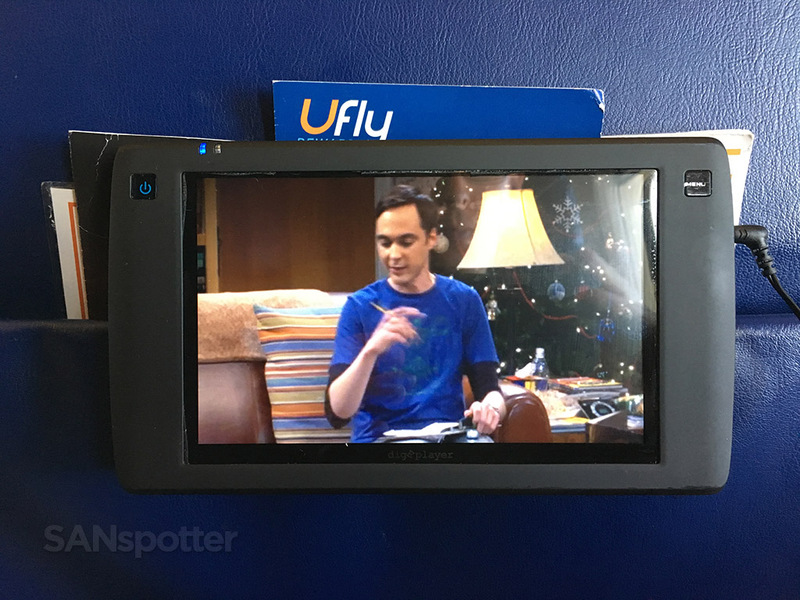 I’ll be flying to San Diego on Sun Country from JFK for the first time in a few days, and at 6’4″ it will be a first class seat. 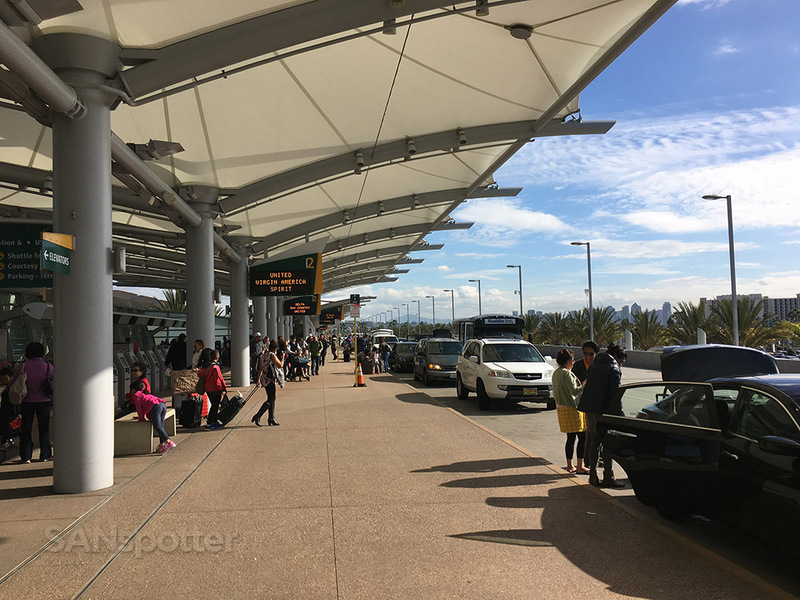 I have flown to CA a few times a year for the last 28 years to visit family, (my former hometown is SF). I flew Braniff for my first few years in NYC back in the late 80’s and loved it. Flying was great pre- 9/11. I also had a best friend that was a manager for Continental for 4 years so upgrades were free and easy via the buddy pass system, that was back in the early to mid 90’s. 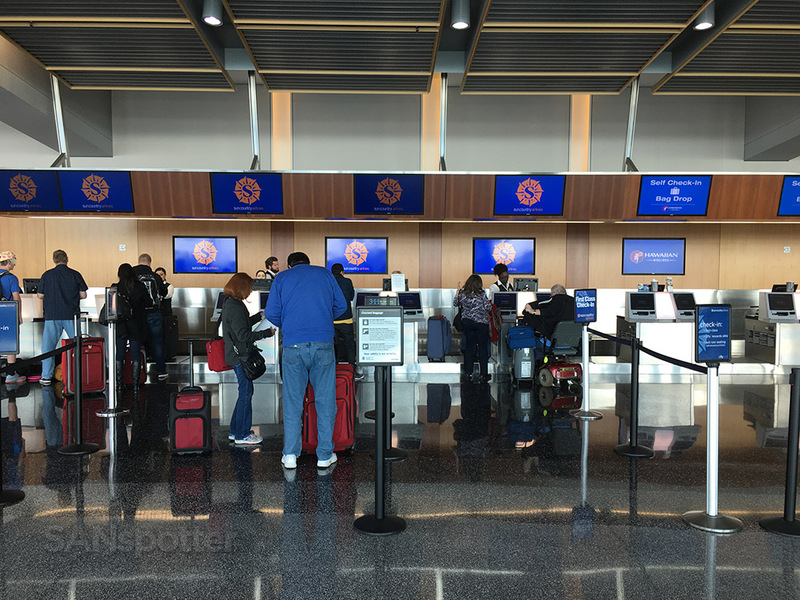 After my friend was basically canned I became a Jet Blue regular (until they became popular) and then Virgin Domestic, they used to be great for easy upgrades, now thats a thing of the past as upgrade priorities are given to gold level or elite members. 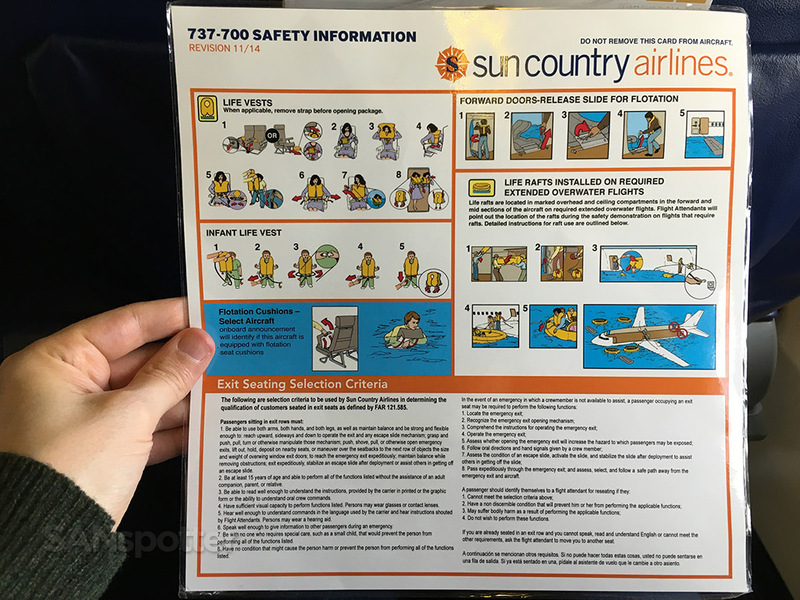 I read that Sun Country was started by Braniff pilots after they went under so I feel like I’m coming full circle. 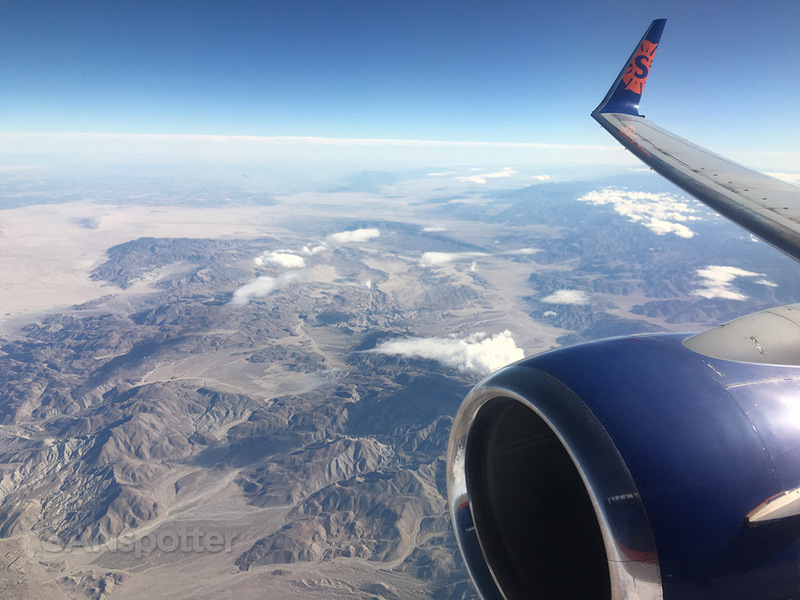 I’m not flying back and forth to CA nearly as often as I did a few years back but hoping that Sun Country will be an affordable first class option for taller flyers like me. I noticed on your pic that the pitch was tight, but it will still be better than coach I’m sure. Your review was helpful, thanks again. Hey Scott, yes, you are going to have a great flight up in first class on Sun Country! 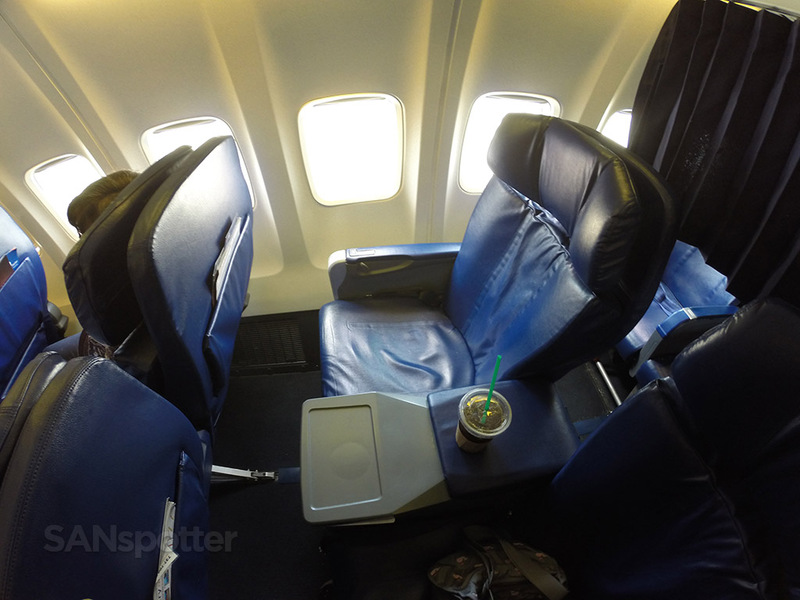 No, the seat pitch isn’t the best but I found that the service more than made up for it. 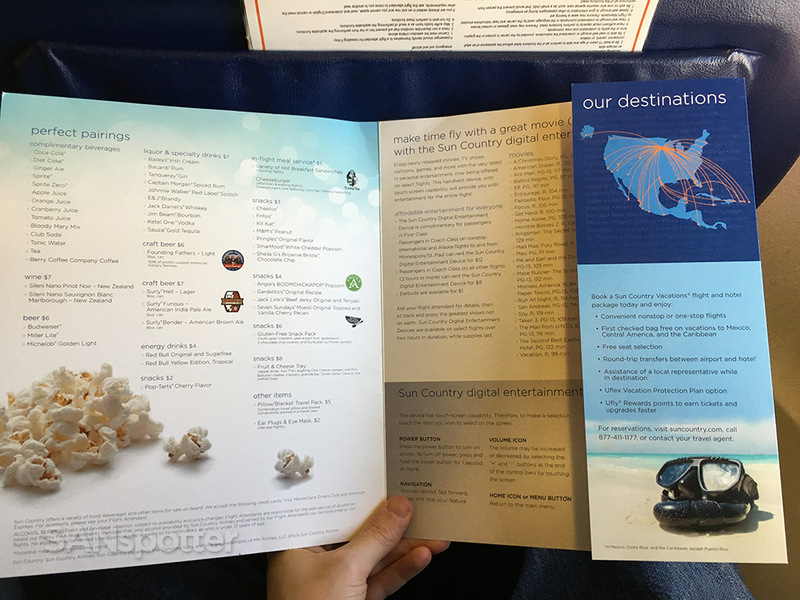 Very surprising to me actually – before this flight I thought they were strictly an LCC with few perks. 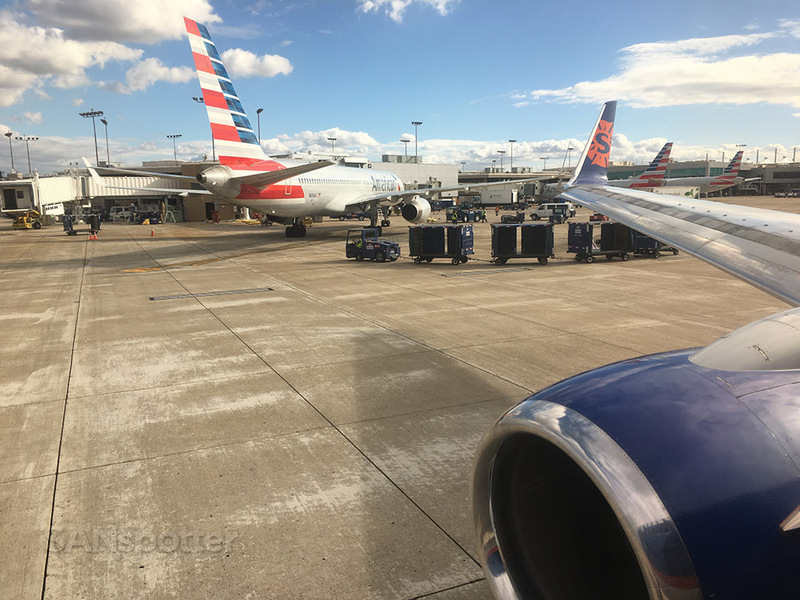 I’m also jealous that you got to experience transcon travel back in the 80’s and 90’s! 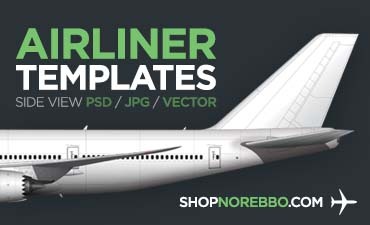 I didn’t start flying heavily until the late 90’s so I missed out on some really great airlines (and service offerings). 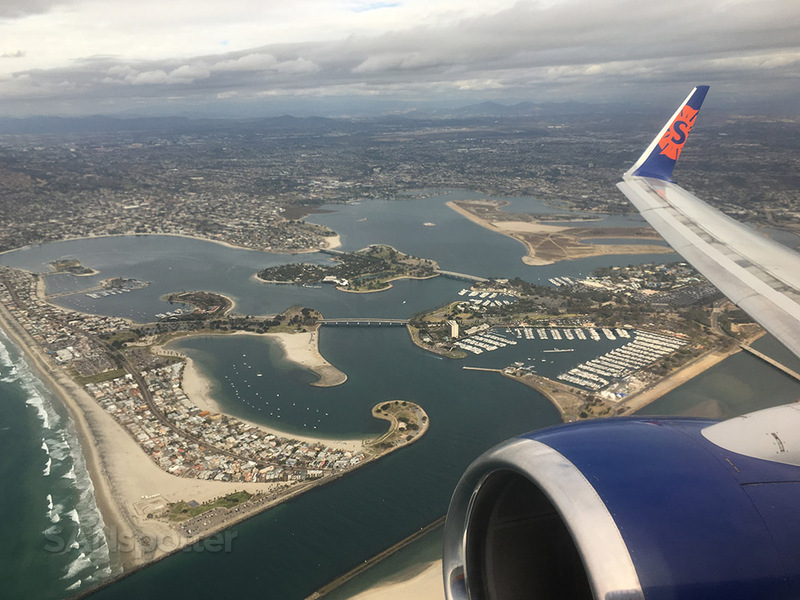 Enjoy your trip to San Diego!